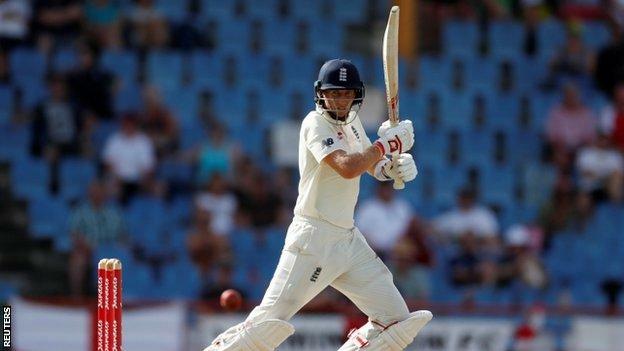 Heavy defeats saw England lose the first two Tests of the three-match series but in St Lucia, Root scored 111 not out to see his side close on 325-4, a commanding lead of 448. 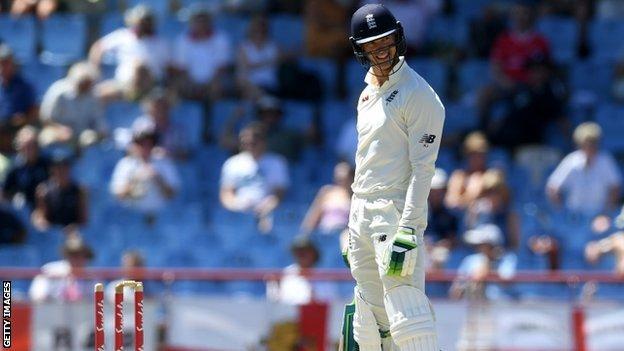 Root’s side dominated the third day, having resumed on 19-0, but there were further failures for openers Rory Burns (10) and Keaton Jennings (23). 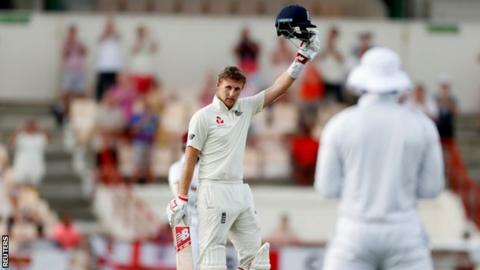 Despite being England’s premier batsman, Root has been unable to prevent his side falling to heavy defeats in the first two Tests as West Indies clinched the series with a game to spare. He had scored just 55 runs in his previous five innings with a highest score of 22 and had not scored a half-century in seven innings – the joint-worst run of his career. He celebrated in an understated manner and when he punched the air, there seemed to be a tinge of frustration that the runs had not come when the series was alive. Once again opener Jennings was out for a disappointing score to a quick bowler, although on this occasion he was unlucky to be bowled off his thigh pad by a loose delivery from Alzarri Joseph. “England have to find someone who understands what opening the batting is like and Burns has been opening the batting for Surrey for many years,” Vaughan said on The Cricket Social. England were also helped on day three by injuries to West Indies all-rounder Keemo Paul, who was stretchered off the field with a thigh strain which restricted the hosts’ bowling options, and Darren Bravo, who spent the day off the field with a hand injury. England showed little inclination to increase their attacking intent late in the day and, at the close, Root suggested the tourists could even bat longer into day four. “There are still two days left in this game. Why wouldn’t you want the extra cushion [of more runs],” Cook said.